The movement towards value-based care has been front-and-center in healthcare for the last several years. But while we can all agree that focusing care on patient outcomes is mutually beneficial to a number of healthcare stakeholders, moving from a fee-for-service to a fee-for-value system has been a challenging road. In workers’ compensation, we’ve barely begun the journey. Still, I would argue that, while the workers’ comp system has not been quick to move towards a value-based reimbursement system in the exact way that group healthcare has, there are many areas where we can and have embraced a value-driven approach that emphasizes moving the needle on patient outcomes and bigger-picture cost savings. First I think it’s worth defining what I mean by value, as the word means different things to different people. Value is traditionally defined as the monetary worth of something. But for this discussion, I found a much more compelling definition: the regard that something is held to deserve. That got me thinking about what each of the stakeholders in the workers’ compensation claims process deserves – and how we can better provide corresponding value for them individually as well as holistically. Employers deserve to have an engaged and productive employee. Insurance carriers deserve to have an effective and cost-efficient process for managing their claims populations. Doctors deserve to spend less time on administrative work so they can focus on what they became a doctor for – practicing effective medicine. They can focus on their oath to “do no harm” by leveraging their evidence-based training and their time to ensure that they are prescribing the most effective treatment regimens for their patients. Pharmacists deserve the confidence they are fulfilling their oath to apply their knowledge, experience, and skills to the best of their ability to assure optimal outcomes for their patients. And they should have the right supportive tools to accomplish the safe and timely dispensing of medications, avoiding delays in care. The claims staff deserve to have access to the resources they need to make the numerous and often critical decisions they enact each day as they relate to their claimant population. And at the center of all of this, we have our patients (yes, they are collectively our patients! ), who didn’t want or ask for any of this. They simply want to be able to resume their normal quality of life and job activities, and to continue to be actively engaged with their families and communities. And they absolutely deserve that. It is the collective responsibility of us all to ensure we are focused on bringing this level of value to the system, wherever we are contributing in the workers’ compensation system as well as in healthcare overall. Keeping all of this in mind, how do we provide value? There are many ways that we as a PBM, alongside our various partners, are delivering the needed value to each of these stakeholders. Outcomes-based decisions vs price-based decisions. In a best-case scenario, these two concepts will align, because doing the right thing always pays dividends. But the impact is not always immediate or obvious. Providing a more expensive, but ultimately safer and/or more effective treatment early – whether pharmacologic or in many cases non-pharmacologic – can save on medical costs over the course of a patient’s care. As we well know, generic opioids frequently don’t come cheap when considering the adverse effects they impart – and the additional medical care needed to mitigate those downstream and long-lasting effects. It’s imperative to look at more meaningful measures beyond generic vs brand drugs. As VP of Clinical Services at Healthesystems, I’ve insisted that our definition of a successful opioid management program includes patient-focused measures such as lower MED stratifications, reductions in the number of patients receiving opioids, and reduced duration of therapy for patients receiving opioids. And I’m happy to see impressive movement in these and other patient-focused measures. AI-driven claims support. Artificial intelligence isn’t just for the future. It’s here. Using technology and advanced analytics to apply algorithms to claims workflows can ensure the right people are involved at the right time to make key claims decisions. Holistic utilization of patient data. As an industry, we often have a limited data set with which to assess patient medical history, comorbidities, psychosocial and environmental factors, and medication regimens, hindering our ability to fully assess all aspects of patient risk. But a more complete data set can and should be accessed and utilized to identify scenarios of significant interventional opportunity. We’ve had an enhanced clinical intervention program in place since 2013 that targets highly complex, high-risk, high-cost patients where there is significant opportunity for impactful medication regimen improvements and resultant cost savings. And accessing and utilizing more extensive medical histories from these patients beyond a traditional medication review has allowed us to make the most valuable recommendations. 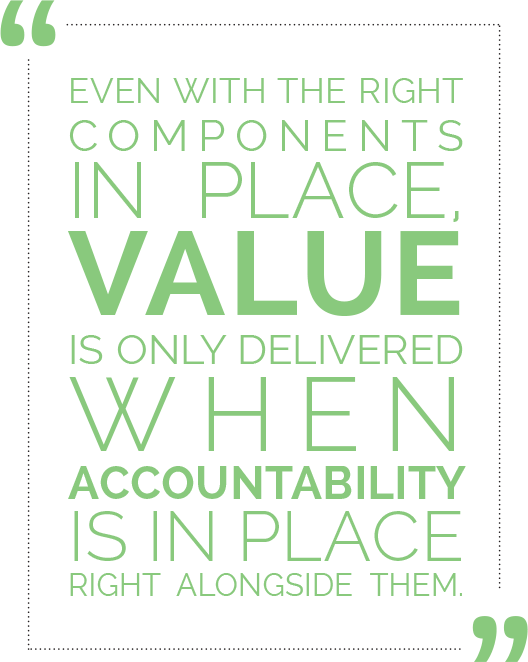 Even with the right components in place, value is only delivered when accountability is in place right alongside them. We all know the right things to do. Now is the time to start practicing them. With this in mind, I urge all stakeholders to uphold the “Triple Aim” framework of healthcare in their respective focus areas: improving the patient experience of care (including quality and satisfaction); improving the health of patient populations, and; reducing the overall costs of healthcare. Investing in this kind of approach sooner rather than later will benefit the entire work comp ecosystem. Silvia Sacalis, BS, PharmD, provides clinical leadership and strategic direction as Vice President of Clinical Services at Healthesystems. 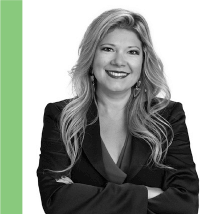 Her healthcare experience and clinical expertise span the PBM, retail pharmacy, and managed care environments. Leveraging her technology background, clinical skills, and management expertise, she helps develop and operationalize strategic clinical initiatives to help workers’ compensation insurance payers maximize the impact of a pharmacy benefit management program. Throughout her career, she has held various leadership roles in which she provided oversight of clinical services teams, the development of clinical programs, and integration of analytics technology coupled with clinical consultative support. Dr. Sacalis is a national thought leader and contributor to various industry presentations, publications and interviews. Dr. Sacalis received her Bachelor of Science in Computer Science and Doctorate of Pharmacy degrees from the University of Illinois at Chicago.